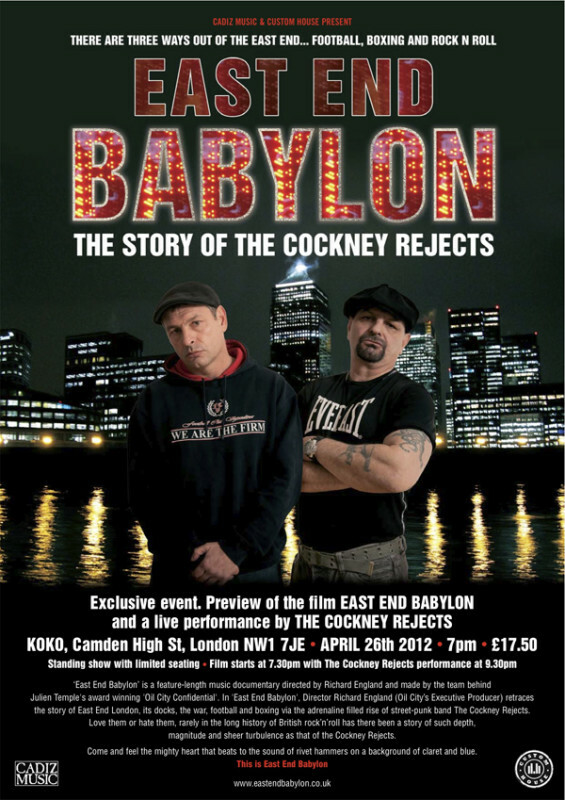 The story of London’s toughest and poorest part as told through the eyes of its most iconic band, THE COCKNEY REJECTS. From the bombs that flew in World War II and from the greatest industrial docks the world ever saw, to the formation of the original and best Terrace Band of them all, the battles, living outside the law, the wilderness years of both the band and the area that spawned them, and eventually to the rebirth and transformation of the band into a worldwide cult, this is the rockumentary to beat them all. Feel the mighty heart that beats to the rhythm of rivet hammers upon a background of claret and blue. This is East End Babylon!